Megastar Amitabh Bachchan, Taapsee Pannu, Amrita Singh, Tony Luke, Manav Kaul and Tanveer Ghani starrer Badla has thoroughly cashed the super positive reviews of audience as well as critics on box office. The movie has been released with decent buzz but with its strong content. 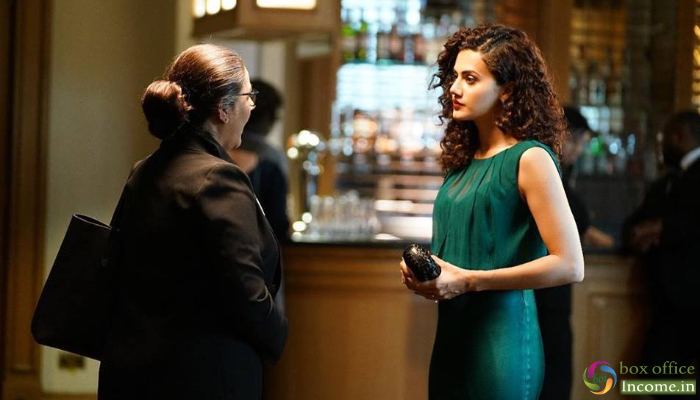 Produced by Red Chillies Entertainment and Azure Entertainment jointly, Badla took a decent start but maintained a solid momentum. In its opening week, it recorded terrific occupancy through out and did the business of 38 crores with 23.20 crores of weekend & 14.80 crores of weekdays. In the second week too, it remained strong despite several new Hindi releases and registered the business of 29.32 crores with 18.97 crores of weekend & 10.35 crores of weekdays. In its third week due to Kesari, Badla faced much loss in its occupancy but still managed to stay steady. In the third weekend, the movie minted the amount of 7.47 crores with 2.07 crore of Friday, 2.65 crore of Saturday and 2.75 crore of Sunday. After this, the total domestic collection of Badla was recorded as 74.79 crores. Then once again, in weekdays Badla witnessed lesser occupancy than before.